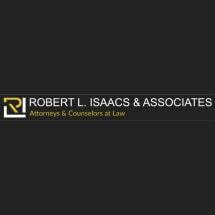 At the law office of Robert L. Isaacs, P.C., you will receive personalized legal representation. Unlike the larger firms, each client receives my prompt personal attention. My clients mean more than just another open file. Understanding of the Process. It is important that my clients have an understanding of the law, and how their situation relates to the law. You cannot get good value unless you understand what you are facing. I explain the legal process and the law as it relates to each situation in a clear manner. I want my clients to understand what is happening and why. Collaboration. The way to achieving value is collaboration. Collaboration means listening to the client, and their problems. We then work together to develop goals for the legal problems. Once a goal is determined, we customize a realistic, cost effective plan in achieving those goals. Every client comes with unique problems. I remove the mystery behind the legal process, and work with my client to help form real, attainable goals and solutions to these problems. My goal is to provide value to each client.